From the 18th of November until the 2nd of December 2018 the GGS Tournament Series guaranteed 3,5 Million USD distributed to 129 tournaments. So if you like to play multi table tournaments, the best place to be is BreakoutPoker. Of course you find there daily some nice tournaments, but the GGS Tournament series offers a lot of extra action for all poker tournament lovers. Daily there are several satellite tournaments available that allow you to qualify for a special event by paying only a small party of the buy in. 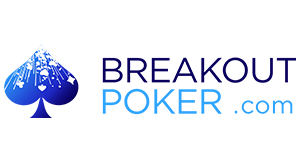 No account at BreakoutPoker yet? Create your poker account at BreakoutPoker via YourPokerDream and benefit from a lot of exclusive extras in form of extra rakeback, different promotions, exclusive tournament and much more.